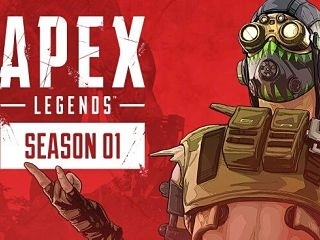 The first season for ‘Apex Legends’ is already on! Titled ‘Wild Frontier’, it comes with several special features as well as a new character which can be unlocked with a Battle Pass. March 19, 2019 marked the debut for ‘Wild Frontier’ which is the title of the first season of ‘Apex Legends’. It is expected to last three months and its developer Respawn Entertainment has already planned three other ones which will last until December. Since its release, the game has been a massive success and has been considered as a close Fortnite Battle Royale rival. Furthermore, similarly to its rivals, including ‘PlayerUnknown's Battlegrounds’, the ‘Apex Legends’ pass’s main purpose is to unlock a wide range of highly coveted items. The ‘Wild Frontier’ Battle Pass costs 950 Apex Coins and features cosmetics as well as customisations. Three skins are included with the purchase which comes with 100 tiers of unlockable loot. Launched in February, ‘Apex Legends’ is a mixture of several video games. Indeed, it includes elements from battle royale, class-based shooters as well as another game called ‘Titanfall’. Starting off without any weapon, up to 20 teams made up of three players have to compete against each other. Additionally, ‘Wild Frontier’ introduces a special character. Called Octane, it is a bionic-legged hero who offers health for speed as well as places jump pads for squadmates. Not accessible via the pass, players have to find another way to earn this persona.